Kitchens are the heart of the home. Whether it's preparing a meal, sharing pizza or helping with homework, the kitchen is where family and friends gather to be together. Be sure to browse our website's PORTFOLIO for ideas on how we can help you create that special feeling in your new kitchen. We are fully licensed, state certified, & insured and we strive to maintain the highest quality standards. We are proud members of the NKBA (National Kitchen & Bath Association), the Florida Home Builders Association, the NARI (National Association of the Remodeling Industry) and many other local building associations. Our approach brings together professional design and construction experience. With S & W Kitchens, Inc. handling both design and renovation, you can expect the highest possible level of customer service and communication. With the construction and the design teams working together you will save time and money. We are accountable for the entire project, you have only us to praise or blame if problems do arise. 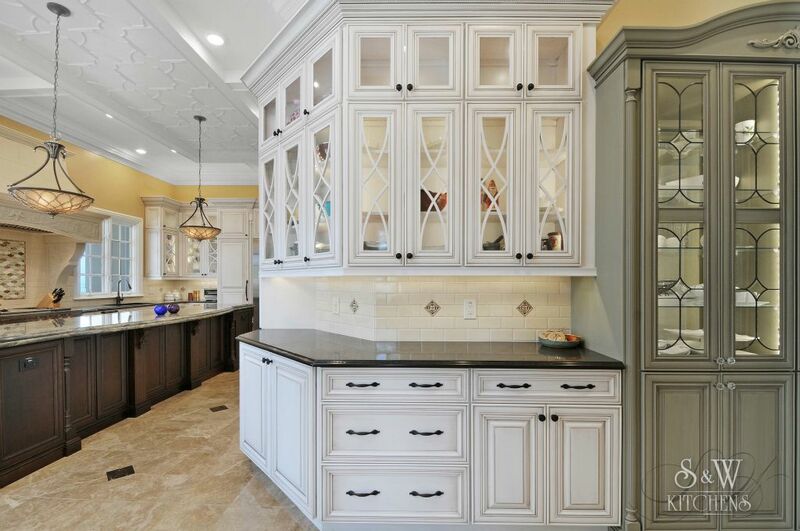 S & W Kitchens will help you create the right design for you and your family, then combine quality cabinets and fixtures with the craftsmanship needed to assemble them all into a beautiful and functional kitchen. Visit one of our showrooms. You can browse a number of styles, colors and types of cabinets in a relaxed, comfortable atmosphere. You will see the cabinets, countertops and tile selections fully installed and on display, better envisioning what style will look best in your perfect kitchen. We also can use state-of-the-art computer technology to create a virtual kitchen design so you can see the completed project before it is installed in your home. Fill out the form here and we will contact you. We can set up a time to meet with you to discuss your needs and budget, measure your space and find out your design style.